The BFRC 50 Metre Open Meeting was held on the Malcolm Cooper Range in Lord Roberts Centre, Bisley on 18th & 19th of April 2015. As we report every year the entries for the prone matches were heavily oversubscribed & I had to close the entries for both months before the official closing date. 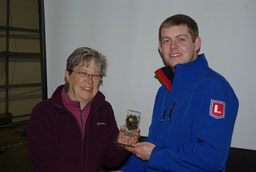 It pays to get entries in very early as this is a popular meeting, being the first ISSF one in the year in the UK. Despite getting back into April the weather was a bit on the cold side. However the wind was absolutely evil, as can readily be seen from the scores achieved. So many shooters came off the line moaning about how poor their shoot was, only to find that they were well up the list. This was especially true in the two English Matches. Just to make things more difficult we had a problem with safety that has reared its ugly head. There has been an issue elsewhere with the big doors and HSE, in its wisdom has deemed them unsafe. This meant that the shooting had to take place from 51 metres and absolutely no one was allowed to go over that line or out under the doors in any way. Also we were limited to only 8 shooters per bay, instead of the normal 10 which put even more pressure on the total entry numbers. We were not made aware of these problems until 4 days before the meeting. As organiser I am grateful to the 3 IPC shooters in the prone matches who agreed to shoot separately when the finals were being run for the rest of the competitors. The only plus side on the range was we had full heating running which made it bearable. I also have to thank the NSRA range staff for working extremely hard to keep the range running. There are always issues as we are the first major meeting on the 50 metre range in the year, but they made sure we survived. This year we also managed to run a 10 metre Air Rifle event upstairs, which was well received. English Match 1 had 39 entries, with 38 starting. 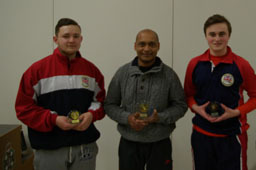 An indication of how difficult the conditions were is given by the top score being 585, achieved by KennyParr with Mark Szymankiewicz second on 582 and Dan Rivers 3rd on 578. Two shooters also gave up because of the conditions.. The finals were run according to the latest ISSF rules for finals which produces exciting results. In this match Kenny Parr came through to the gold medal position with a score of 199.0, Mark Szymankiewicz took silver on 194.9 and Peter Stanley took bronze on 176.2. a quick perusal of the results again shows how difficult the conditions were, scores over 10.0 were hard to achieve. 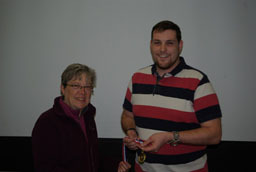 The IPC competition was won by Lorraine Lambert with a score of 561. 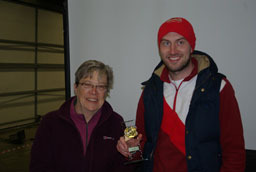 English Match 2 had 36 starters Dan Rivers was top score with 583, again showing conditions had not improved at all. Kenny Parr come through in second place and Mark Szymankiewicz was third in this qualifying stage. 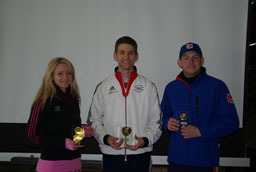 The same three names rose to the top in the final, however Kenny Parr came out on top, Dan Rivers second and Mark Szymankiewicz third The IPC top scorer this time was Ben Jessons, beating Lorraine Lambert with a better x count. While the prone shooters were struggling with the windy conditions the Air Rifle shooters had it much easier upstairs, but good scores were still hard to come by. There were 12 starters and only 10 points separated top from 8th place making the final. This was a close run match with Simon Henry just managing to take it at the end by 0.2 points from Jacob Hill in second place and Billy Read third. Sunday morning saw our normal set-up with a 3x40 match with 18 men shooting running concurrently with a 3x20 with 14 entries for the women. This is one of the best entries for 3P that we have had, but there is still space for more. 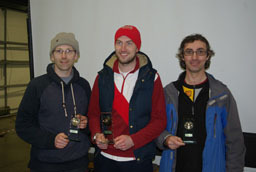 Top score in the 3x40 was by Dan Rivers with 1128 beating Dean Bale on 1110 followed by Mark Szymankiewicz on 1106. 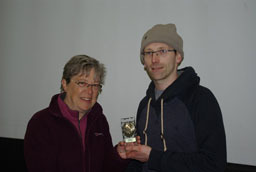 The winner of B class was Mark Goater on 1077. The only IPC man shooting in this event was Owen Burke who scored 1109. The winner of the women’s 3x20 was Zoe Bruce with a score of 549 beating the 549 shot by Hannah Pugsley due to a better x count and 3rd place went to Katie Gleeson on 547 and she was also the B Class winner. 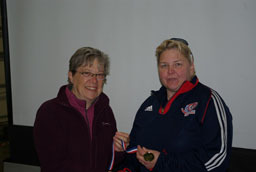 Lorraine Lambert was the top lady IPC 3P shooter and scored 542. As in previous years, to decide the top shooter of the day we held an Olympic final taking the top 8 scores from the 1st 20 shots in each position from the 3x40 & 3x20 matches.This gave a mix of 3 men and 5 ladies being; Zoe Bruce, Jo Pullen, Katie Gleeson, Sharon Lee, Hannah Pugsley, Dean Bale, Dan Rivers and Mark Szymankiewicz. Although we go for a mixed final it is still shot under the ISSF rules. 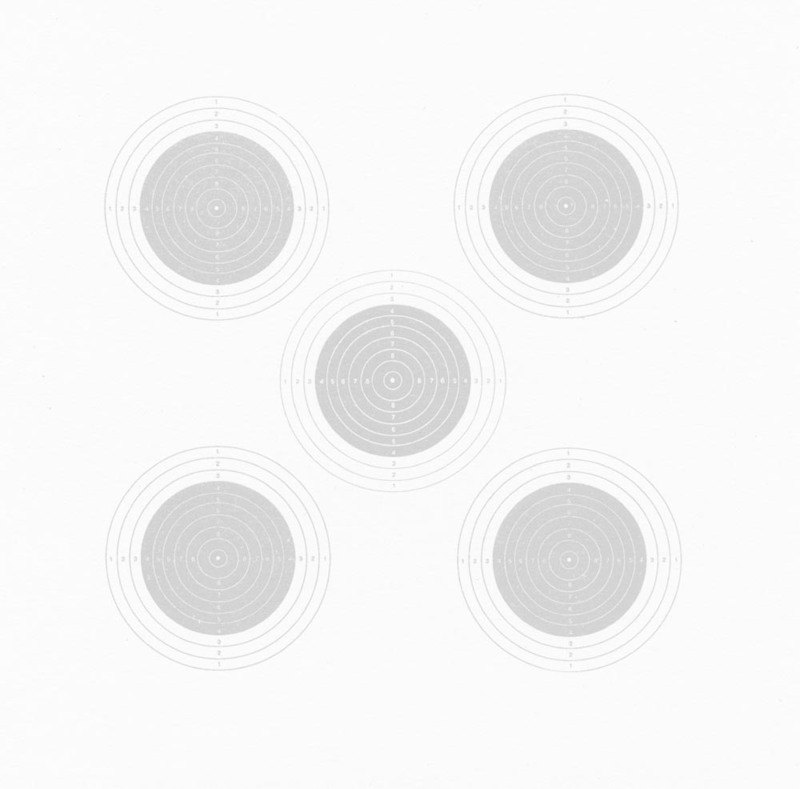 The format is, after preparation and sighting time, 15 shots kneeling in 3 sets of 5 shots, followed by 15 shots prone in 3 sets of 5, with only 7 minutes change over and sighting time in between kneeling and prone. Then there is a further 9 minutes change over and sighting time before the standing phase. This is made up of 2 series of 5 shots, after which the 2 lowest scorers are eliminated. Then there are 5 single shots series with one shooter being eliminated after each shot. Dean Bale again came out on top with some excellent shooting in the standing phase, scoring 446.9, Jo Pullen was second on 438.4 and Dan Rivers third on 427.4. Given the weather conditions, the wind still being very gusty and variable in direction, these are excellent scores. The BFRC is indebted to all those who helped to run the range over the 2 days. These meetings cannot go ahead unless there are enough staff to keep on top of the problems that invariably crop up. Next year is provisionally booked for 09-10 April 2016. I have also provisionally booked 10 lanes Air Rifle again, so hope to hold a match upstairs again as well. It seemed to go well this year. Sadly this year we were unable to run with Match Manager. I have a licensed copy of the software for BFRC, but due to a bereavement there was insufficient time available to get it going. We intend to use it next year so that full decimal scoring is available for all.